Dan Aykroyd’s status as a sheriff’s deputy is official. The actor has been sworn in to serve Mississippi, and is now on a mission to “talk up” Hinds County. Dan Aykroyd‘s first order of business as a sheriff’s deputy is to use his celebrity-sized megaphone to draw some attention to Hinds County, Mississippi. The actor, who has been staying in the area while filming the James Brown biopic Get on Up, has joined on as part of the county’s reserve unit. “I am able to go all over the world now and talk up this county, talk up this state and talk up the people of the Hinds County Sheriff’s Department,” the 61-year-old actor continued, explaining how his celebrity status will be an asset in his new role. 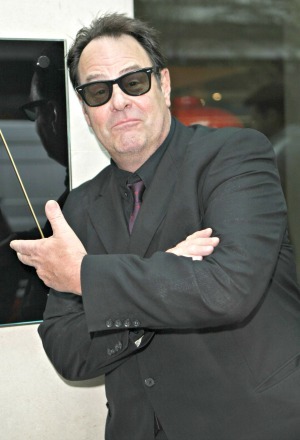 Fans of Ghostbusters and The Blues Brothers may not realize this isn’t the first time Aykroyd has taken on a position with the law. Mississippi’s Clarion-Ledger reports the father of three served two law enforcement agencies in Louisiana for almost 16 years. All serious plans to serve Hinds County aside, the funnyman also said he plans to get to the bottom of reports of a ghost in a local courthouse. Get on Up, in which Aykroyd takes on the role of Ben Bart, is currently scheduled to be released Aug. 1, 2014.